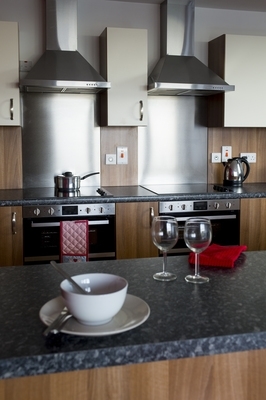 Bainfield self catering flats all have ensuite single bedrooms and are centrally located in the Fountainbridge area of Edinburgh. 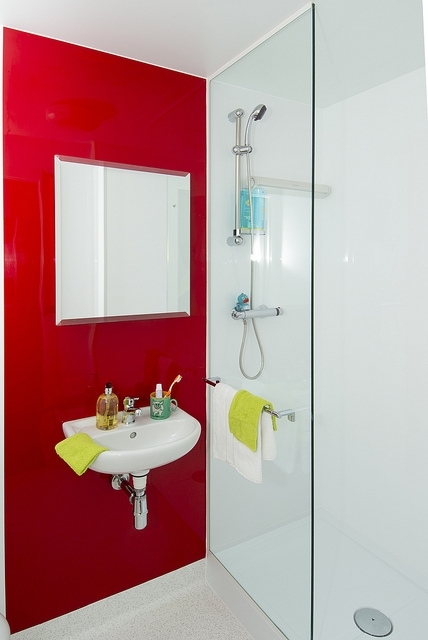 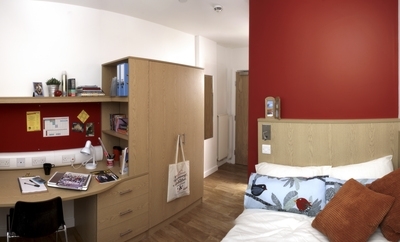 The flats range in size from four to eight ensuite bedrooms with a limited number of studios available. 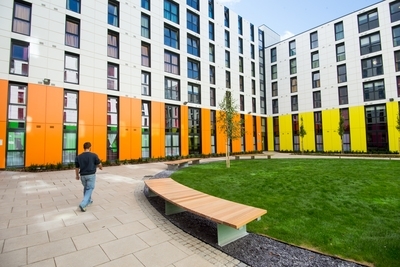 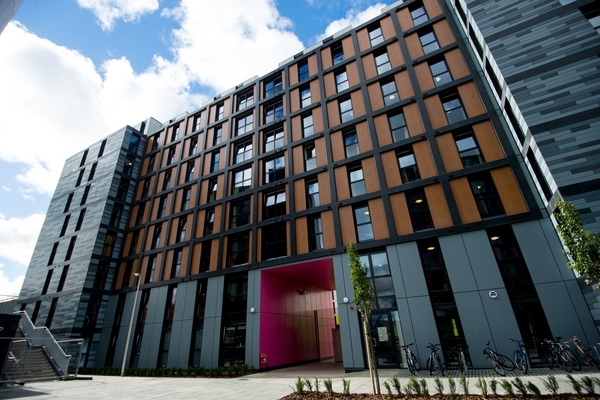 Bainfield has 117 flats in total and can accommodate up to 778 guests. 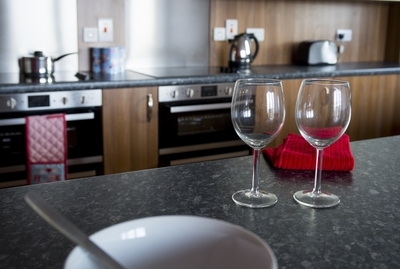 Each flat has a communal lounge/kitchen area and are fully equipped for self catering purposes. 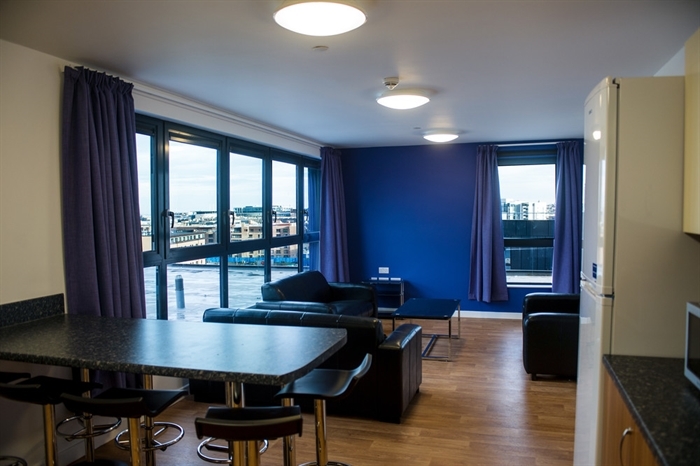 There are seven blocks of flats in total within the development and each block has a lift for easy access to the flats. 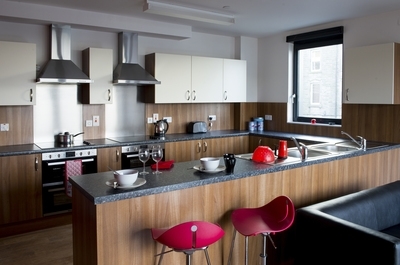 Bainfield is a 10 minute walk from Edinburgh City Centre and is an ideal base for attending events at the EICC or exploring many of the tourist attractions that Edinburgh has to offer.